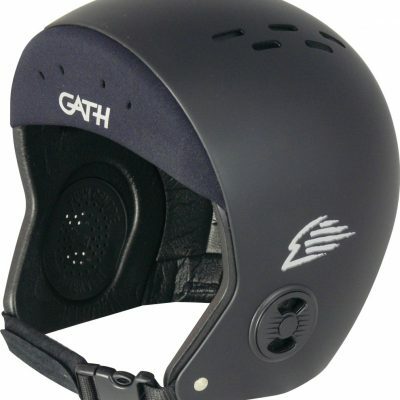 The Gath Retractable Visor Helmet, or full visor helmet features a unique close fit, low profile, light weight design that has made it a world class surfing helmet that easily crosses into whitewater kayaking, PWC, kitesurfing, and water skiing. 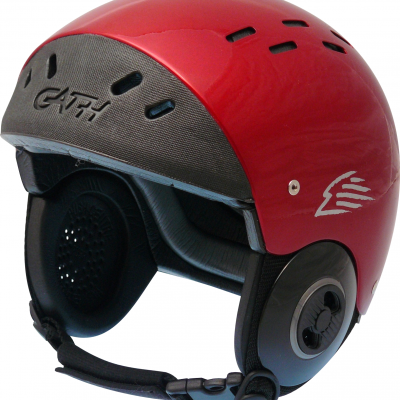 The Gath full visor is infinitely adjustable and holds in any position within its range to provide both the best vision and maximum face protection against the damaging elements of sun, wind and salt water spray. 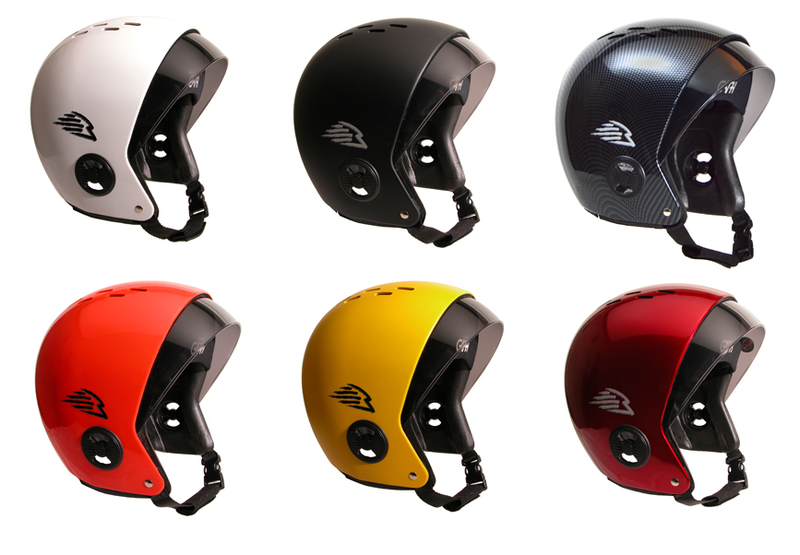 The “RV” comes standard fitted with a gray visor, but other visor colors are also available. The see-through visor is made from the latest high-impact shatterproof plastic and is designed to retract up for normal vision or slide down to provide total face and eye UV protection that blocks out more than 98% of UV sunlight, regardless of visor color. This sizing chart is a guide only, as head shapes vary. 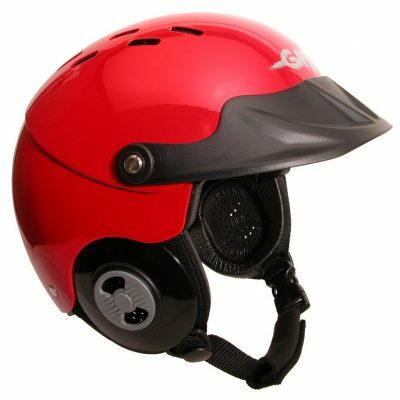 Measurements should be taken around the head – mid forehead, just above the ears. Audio vents are fully adjustable to meet your needs. A storage bag is included. Weight: 460-510g, depending on size. Whitewater river enthusiasts (due to near total face and head protection).